Probably the most famous of all Dorset's road ghosts is that of Colonel Thomas Edward Lawrence, alias Lawrence of Arabia, who was involved in fatal motorcycle accident on 13 May 1935. 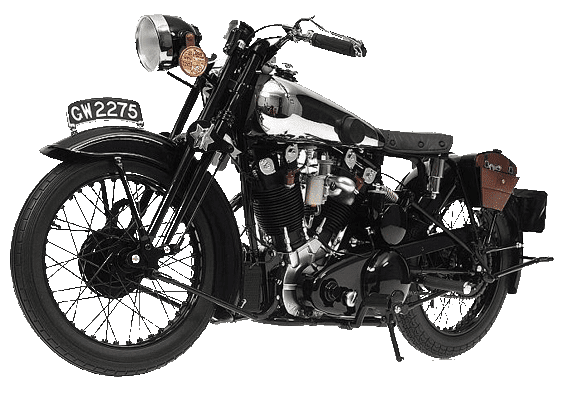 On that ill-fated day, Lawrence was riding back on his favourite motorcycle the Brough Superior (which he nicked-named Boa, short for Boanerges, the sons of thunder) to his home at Clouds Hill from Bovington Camp when he came upon two errand boys, riding bicycles hidden from his view. As he came upon them at great speed, he swerved violently to avoid them. Losing control of his motorcycle, Lawrence was thrown over the handlebars, receiving severe injuries to the brain. His physical strength was so great that he lay unconscious for nearly five days before he died of congestion of the lungs and heart failure. The evidence at the inquest revealed a curious contradiction. Corporal Catchpole of the Royal Army Ordnance Corp was standing about hundred yards from the road, near Clouds Hill, when he saw Lawrence on his motor-cycle, travelling at about fifty or sixty miles an hour, pass a black private car, going in the opposite direction, just before he heard the crash. The two boys, whose evidence about times was confused, had no memory of a car passing them. Lawrence was laid to rest in St. Nicholas Church cemetery, Moreton on May 21st 1935 and a memorial plaque was later erected by the roadside to mark the spot in which he fell. Since his death, it is said that local farmers and people have often heard the haunting roar of his Brough Superior motorcycle just before sunrise. However, reports say the noise abruptly ceases before anything is seen. Nearby is the tiny isolated brick and tile cottage at Clouds Hill, bought in 1925 by T. E. Lawrence as a retreat. The austere rooms inside are much as he left them and reflect his complex personality and close links with the Middle East. His house is owned by the National Trust and is opened to the public between 31st March to 27th October: daily except Monday, Tuesday & Wednesday (but open Bank Holiday Mondays and Bank Holiday Tuesdays 4 June) 12.00pm to 5.00pm or dusk if earlier.